Clothing trends may come and go. But good hair is timeless. 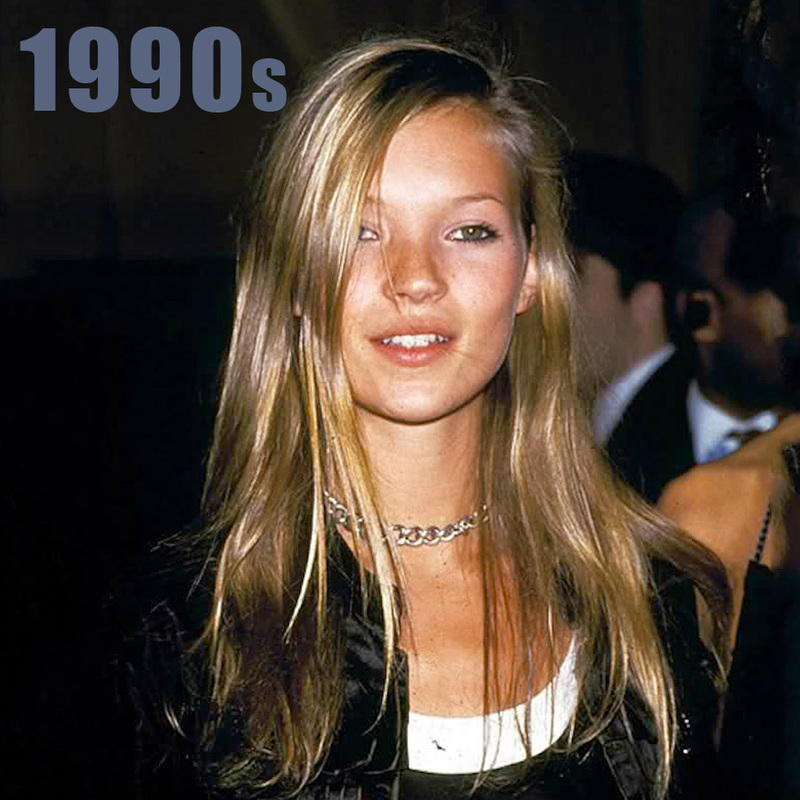 We've collected a few of our favorite hair icons from past decades. These inspiring celebrities will be remembered for their work, their style, and their personal lives. But let's not forget their great hair! Read on to see why we love them, and how we can all channel their best styles today. 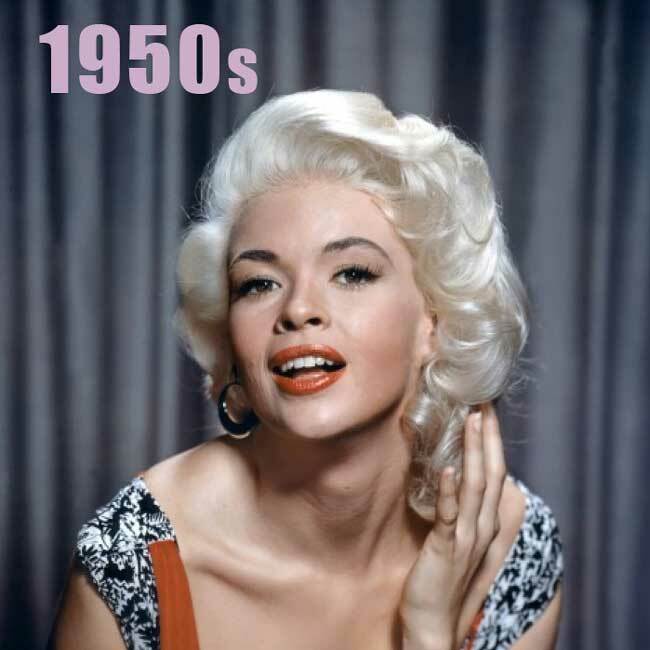 Jayne Mansfield, among her many charms, boasted a voluptuous, radiant mane of platinum blonde hair. Not bad for a natural brunette! Key components of her look were soft, touchable locks, and incredible shine and polish. Is this 50s pin-up style high maintenance? A bit. Timeless and Awesome? Absolutely. Jean Shrimpton shows how it’s done. This look is all about volume and bounce! This bouffant style can be modified for an updo, or worn loose- just tease hair like crazy at the crown of your head, and either let the rest fall straight and soft, or sweep it back in a simple ponytail or bun. Smooth bangs parted deeply to the side complete the look. Farrah Fawcett's hair is perhaps the greatest achievement of the 1970s. Texture AND volume are crucial for this look, and it will require rollers or a curling iron. Use these tools as directed to achieve giant, face-framing waves. Finish with a high-hold texturizing spray to prevent wilting throughout the day. Don’t forget to use a heat protectant before styling! 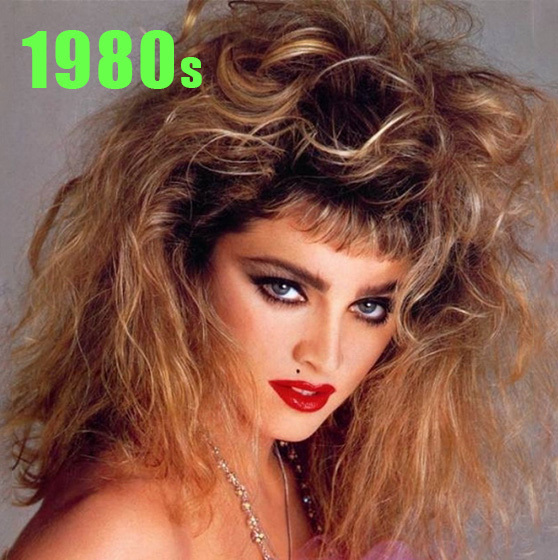 Let's go ahead and skip the 80s. Sorry, Madonna. Flat Hair, Don't Care! Kate Moss obviously has cooler things to do than spend an hour every morning setting her hair in curlers. For a smooth, flat, look that's conducive to your rock and roll lifestyle, you may still have to put in just a little work to defrizz and straighten. But once you've achieved this limp, tousled look, it can last for days with almost no further styling! You'll be free to party like it's 1999.